Polar bears: what's the story? 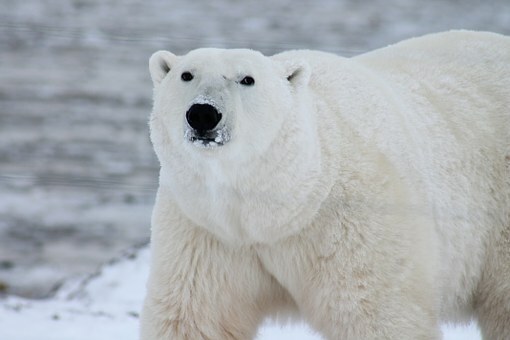 Polar bears seem to have become an iconic species in the context of climate change*. This means that they are now being used by people to try to score points. Climate change deniers often claim that their numbers are increasing and that they are not endangered. They may even point to reports that the Inuit are finding them a nuisance as polar bears are being spotted more often by them. It should be noted that the Inuit are not disinterested spectators: for many years the number of polar bear that they have been allowed to hunt has been restricted. An organised polar bear hunting safari costs more than $20,000, so any increase in the quota of animals that they can hunt is valuable. The claim of increasing numbers is not supported by the facts. Quite simply we don't know what the global status of the polar bear is. They range across a number of territories in the Arctic and are considered to consist of 19 subpopulations. Some of these subpopulations have never been surveyed and some others have not been surveyed for over twenty years. So whenever a new survey is carried out, its finding only apply to that subpopulation. The Polar Bear Specialist Group of the International Union for the Conservation of Nature (PBSG/IUCN), not surprisingly, monitors their numbers and it states," the global population estimate range includes subpopulation estimates of variable quality it is not used as a monitoring benchmark or other status assessment tool." However, one weakness of the IUCN classification is that it only looks at the effects of threats on the population for a period of three generations. For polar bears that's no more than forty years. Given the rate at which sea ice in the Arctic is disappearing, it may not be long before their status may change for the worse. * I'm using "climate change" as defined by the UNFCCC in 1992: "Climate change" means a change of climate which is attributed directly or indirectly to human activity that alters the composition of the global atmosphere and which is in addition to natural climate variability observed over comparable time periods.